Urban space Berlin: Where can we still experiment? What potential for experimentation does the Berlin public space provide? Where can alternative urban design practices be tested? What forms of creative appropriation are there and are they compatible with building codes and other regulations? How can communities be strengthened through collaborative creative activities? 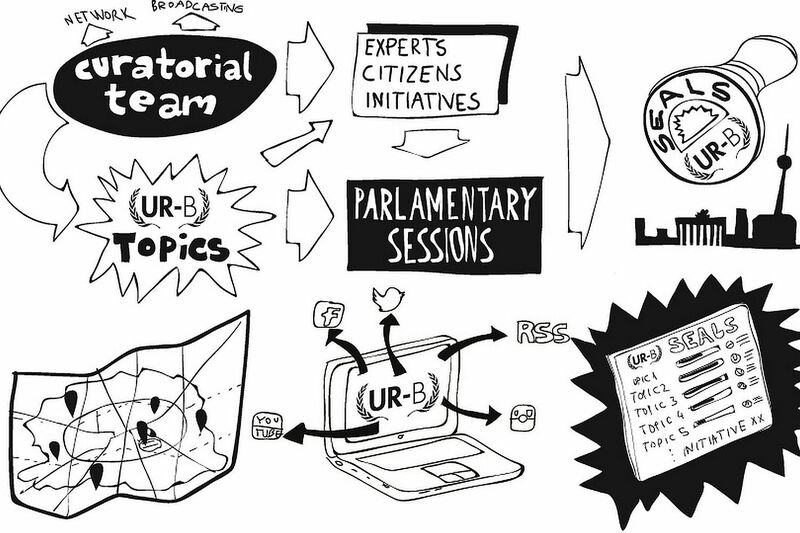 An Urban Parliament serves as infrastructure to draft a Urban Rights Charta für Berlin (UR_BER) in a series of five public parliamentary working sessions. Members of city initiatives and other experts are invited to debate a specific issue at each session, together with the public. The common aim is to establish new fundamentals for the use of Berlin’s public spaces, and to apply them in a collective UR_BER city map of alternative urban practices. In a final session, this UR_BER Chart with concrete demands will be handed over to Berlin policy makers. Let’s make Berlin together! 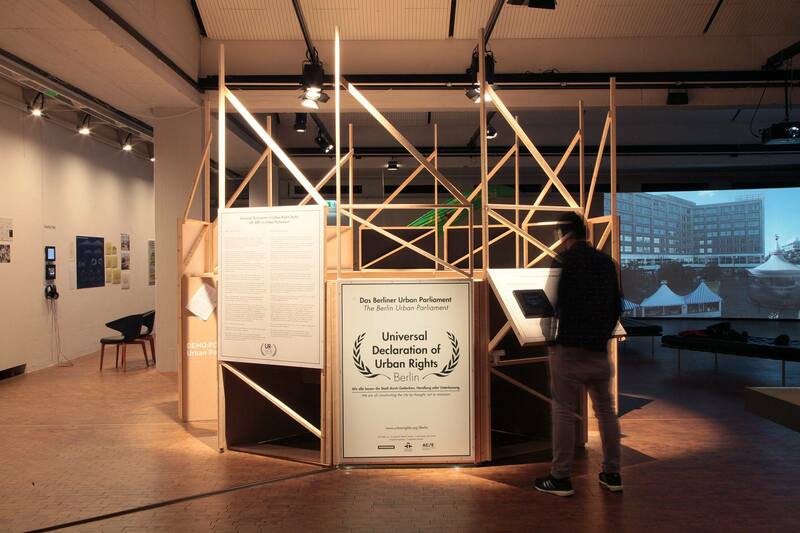 The Urban Parliament is part of the project The Universal Declaration of Urban Rights. It was conceieved by the collective Zuloark, and already performed in several European cities. The Berlin edition is curated by Julia Förster, with the support of Andreas Krüger. Te event was part of the programme of the exhibtion „DEMO:POLIS – Das Recht auf Öffentlichen Raum“.